Before you begin hunting for gymnastics floor music, find out if your coach has selected a piece for your child. I am a coach that does most of the picking. This is a luxury I can afford as I currently coach only one group. This is not a reality or desire for many coaches, and gymnast/parent involvement is welcomed! What music are you looking for? Music that inspires your gymnast: An excellent piece will encourage a gymnast to get out of her chair and out of her comfort zone. Variety of sounds and tempos: Listen for pieces that have enough diversity and interest to support tumbling passes, leap passes, and dance sections. The style that enhances your daughter’s strengths: The music should fit your daughter’s gymnastics style. If your daughter is flexible and graceful, pick music that allows her to demonstrate that. If your daughter is sturdy and robust, select accordingly. Gymnastics Floor Music Companies: Many companies sell pre-cut music designed specifically for floor routines. Check these companies out Floor Express, Jump Twist, Tune Gym, Energym, & Flip Out Floor Music. Although they have a variety of music to offer, be careful that the music you choose is not outdated or overused. Trends evolve. Your coach can help. Hand Me Down Routines: Another great place to find gymnastics floor music is from other athletes in your gym. Many clubs have an archive of previously used routines and music. Many times you can buy an old method at a discounted rate. Not only is this more affordable, but you also know what the routine will look like, before paying for it. The trick is picking music and/or a routine that wasn’t used too recently, so as not to wear it out with its current audience. 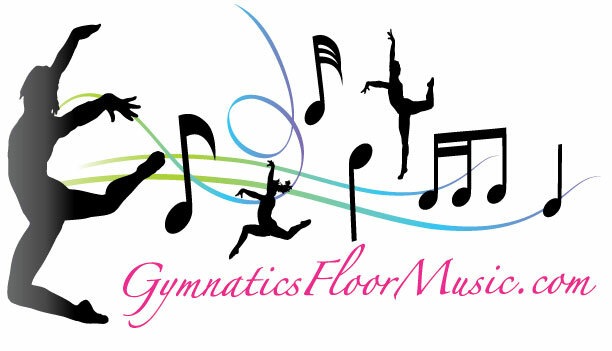 Customized: Companies like Flip Out Floor Music & Jump Twist Music offer services that produce customize gymnastics floor music. You pick the length, energy level and they compose an original piece of music or cover song. Youtube: If you search “floor music” on youtube you’ll find some great pieces. I do have reservations with this method. First, many of the pieces are edited by amateurs and have blunt transitions and poor sound quality. Second, there seem to be copyright issues in play. Use youtube to get ideas. Then find viable ways to buy the music and professionally cut it for personal use. Pandora: One of my favorite places to get inspiration for gymnastics floor routine music is from Pandora or similar apps. If you’ve already found a piece you like, use it to create a station on Pandora and find similar sounding options. Want to create something unique? Pick a few different songs in the same genre and make a great mix. Check out Black Violin Radio to get started. Soundtracks & Musicals: Movies provide the world of gymnastics with excellent floor routine music. Contact your coach or the companies listed above for advice on editing soundtracks into floor music. Heads up: make sure it’s the actual film score or song that your gymnast likes, rather than the plot line. The Classics: I’m a fan of classical renditions. Just consider it. Now that you and your daughter are sick of listening to music without lyrics . . . Determine your daughter’s top three picks. Submit these choices to your daughter’s coach and include them in the final decision. They will guide you on the steps to making the piece work for the gym world. The team at Infinity Gymnastics & Dance are happy to recommend some great hits! Happy hunting!